WASHINGTON -- U.S. auto safety regulators opened a probe into a fatal crash involving a 2015 Tesla Model S while the driver was using the vehicle’s “Autopilot” automated driving function. It is the National Highway Traffic Safety Administration’s first investigation into a fatal vehicle accident involving the use of automated driving systems, a technology heralded by automakers and technology firms such as Google for its potential to reduce accidents, deaths and injuries. The crash comes as NHTSA is preparing to release guidelines for the safe deployment of self-driving cars and automated driving technologies. The guidelines are expected in July and were announced in January as part of a multi-pronged push to help automakers safely deploy the technology. Tesla reported the crash to NHTSA and told the agency that the autopilot system was activated when the accident occurred, according to the agency. In a statement, a NHTSA spokesman said the agency’s preliminary evaluation would examine the design and performance of the Model S’ automated driving systems in use at the time of the crash. The agency hasn’t determined whether a defect exists, the spokesman said. Preliminary reports of the May 7 crash in Williston, Florida, indicate it occurred when “a tractor-trailer made a left turn in front of the Tesla at an intersection on a non-controlled access highway. The driver of the Tesla died due to injuries sustained in the crash,” NHTSA’s spokesman said via email. The victim was identified as Joshua Brown, the Florida Highway Patrol said. Tesla in a statement described Brown as "a friend to Tesla and the broader EV community." Brown posted videos on YouTube demonstrating the ability of Autopilot to avoid accidents. An online obituary said he was a former Navy SEAL. Brown "spent his life focused on innovation and the promise of technology and who believed strongly in Tesla’s mission. We would like to extend our deepest sympathies to his family and friends," the statement said. A police report obtained by Reuters said the Model S operated by Brown went under the trailer of a truck that turned left in front of the car. The Tesla's roof was torn off, and the car kept going, leaving the road, striking a fence, crossing a field, passing through another fence and finally hitting a utility pole about 100 feet south of the road, according to the report. The company said the Model S was on a divided highway when a tractor trailer drove across the highway perpendicular to the vehicle. "Neither autopilot nor the driver noticed the white side of the tractor trailer against a brightly lit sky, so the brake was not applied," Tesla said. "Had the Model S impacted the front or rear of the trailer, even at high speed, its advanced crash safety system would likely have prevented serious injury as it has in numerous other similar incidents." 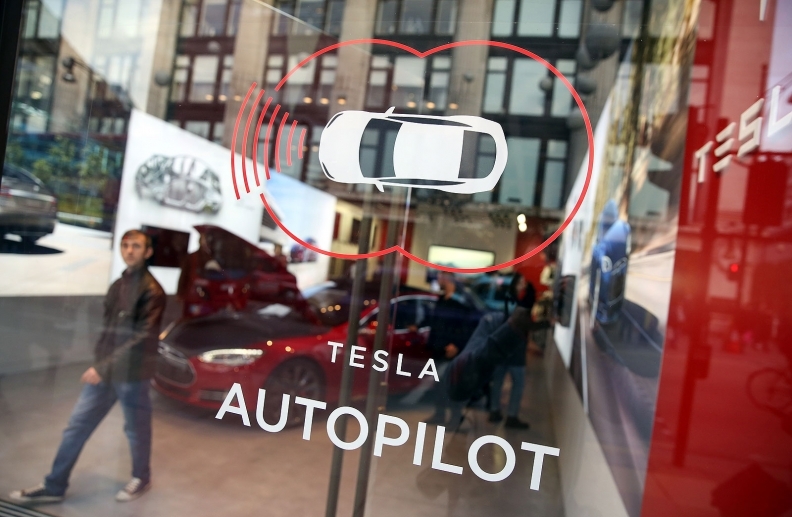 Autopilot "is not perfect and still requires the driver to remain alert," the company said, adding that "Tesla disables Autopilot by default and requires explicit acknowledgement that the system is new technology and still in a public beta phase before it can be enabled." NHTSA investigators inspected the crash scene and vehicle and the agency said it is working with the Florida Highway Patrol as part of the probe.